This relay circuit allows you to easily control the direction of a 12V DC linear actuator with a single switch. You simply provide a constant 12V DC (from a battery or power supply) to the connector labelled 'INPUT' and connect the actuator (or DC motor) you wish to operate to the lead labelled 'OUTPUT'; the actuator will travel in one direction initially (dependent on which way around its leads are connected) and will change direction if the two longer red leads are touched together (or connected together via a switch, or dry relay contact). 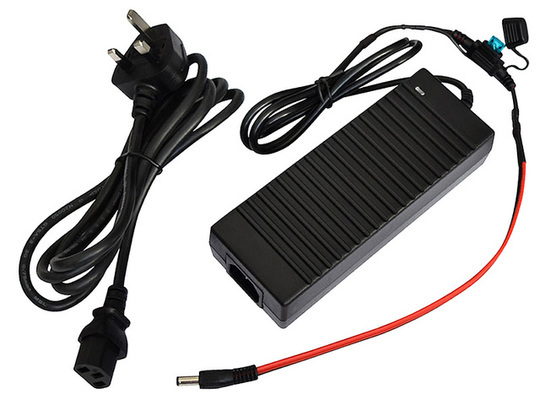 The input and output connectors are compatible with the optional DC connector lead offered with most of our linear actuators, and also with the output connector of our 12V DC 10A power supply. 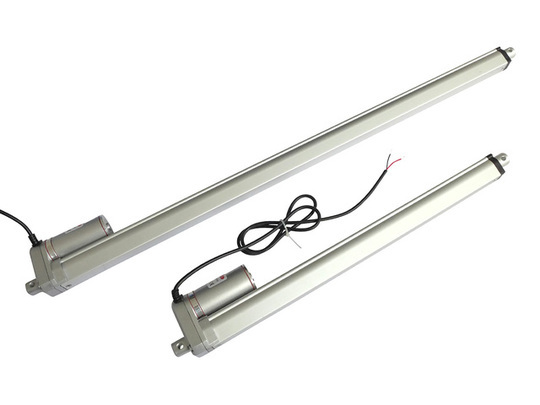 The current rating makes this device suitable for operating up to two GLA200, GLA750 or GLA600-S model actuators at once, or one GLA4000-S or GLA1000 actuator (please contact us if you require a version with a higher current rating). 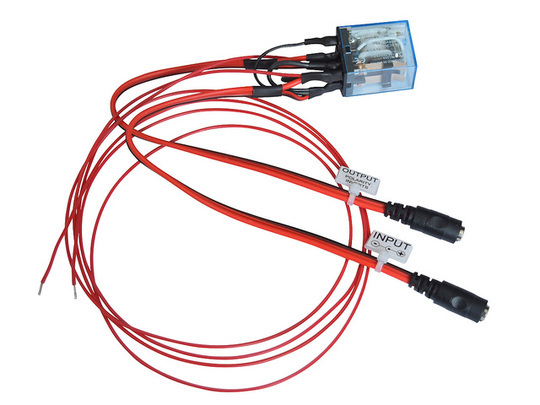 Each relay harness is supplied bagged with two male DC to screw terminal connectors (themselves only rated up to 4A so please do not use these for larger loads).